Much of West Clare, including the towns of Kilkee and Cross, had no water supply for several days during the Christmas period. 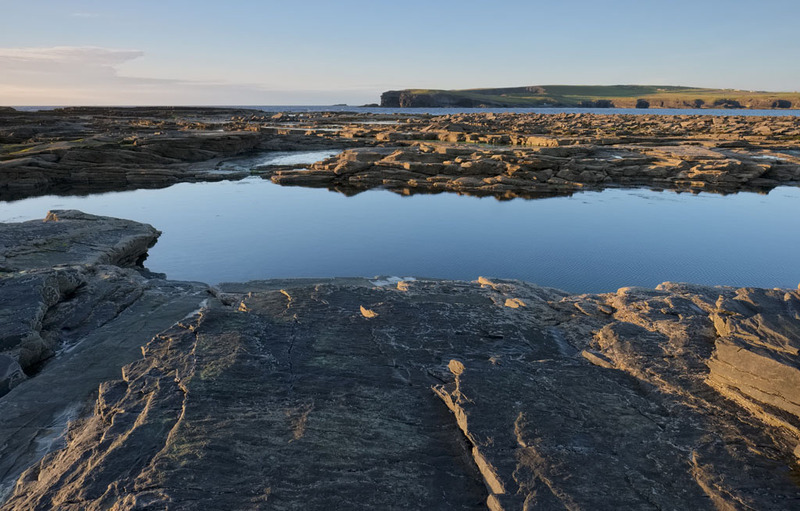 The cut-off of the water supply occurred when pipes burst on Blackweir Bridge, which is located between Moyasta and Kilkee, near Poulnashsherry Bay. “As far as can be ascertained at present, this burst was not directly related to the weather conditions,” Clare County Council explained. The council added that the local authority is hopeful that reservoir levels in West Clare will be fully restored soon. “The burst mains was replaced by a smaller-sized pipe, which restored supply slowly to the peninsula. We are looking at options to increase the capacity of the new pipe so as to ensure quicker recovery of reservoir levels in the peninsula. We have also brought the Lislanaghan (Kilkee) water treatment plant, which is usually used as a back-up for increased demand in the summer, back into operation to supply Kilkee town,” the statement said. Householders and farmers in upland areas, both in Kilkee and throughout the peninsula, were without water for several days, although some houses experienced no change to their supply. Although the situation has eased, Clare County Council has not ruled out further disruption to the water supply in West Clare in the coming days. The statement added that council staff have been working continually to identify and repair bursts and leaks and will continue to do so while the likelihood of new bursts remain. However, individual consumers also have an important part to play in reducing demand and conserving supplies in their own systems. They are asking consumers to check their own house or business for water leaks and not to run taps continuously in an effort to avoid freezing pipes. The combined flow of a large number of taps can place a very big demand on the system. Kilkee Fianna Fáil county councillor Pat Keane says that while the water issue has been helped by the enforcement of temporary measures, money will have to be found to fully resolve the problem at Blackweir Bridge. “Whatever it costs, it has to be done because it’s the only supply of water that people have. There was a time when people could fall back on wells but they’re no longer safe to drink from. I’m sure the cost won’t be huge but it’s something that has to be done regardless of what the cost will be,” Councillor Keane said. He also believes that the Lislanaghan water treatment plant may have to be retained as a back-up in case of future water shortages in West Clare. “That’s a question that has to be asked now as well. It was being decommissioned. Should it be decommissioned or should it be kept as a back-up?” Councillor Keane asked. “Luckily enough, we did have the line from Bansha school into Kilkee joined up, because it was only coming part of the way. The group scheme re-laid there and the council joined it up with the upper part of the town, which was experiencing difficulty over the past few years. Mountcharles Terrace and that area weren’t getting the proper supply from the plant in Donoughboy,” he explained. Meanwhile, Fine Gael county councillor Gabriel Keating says that the problem at Blackweir Bridge is likely to be a once-off occurrence. “What happened will probably never happen again. The main factor was the collapse of part of the bridge in Blackweir,” he said. “What happened was totally out of context with winters of the past. You had flooding, you had snow and you had ice. We were fortunate back west that we weren’t hit with the flooding. But we did get our slice of the action when the pipe burst,” Councillor Keating said. People who live in West Clare and are affected by water issues can contact their area office in Kilrush on 9051047.